It wasn’t until I retrospect that I was amazed how eventful at so many different levels the year 2017 was. It ushered my life in the way I think, behave and pass my time and by doing that it made me ready to start the year 2018 afresh. My college days are over 6 years back. Still I always had this urge to learn something new. This year finally after a much lingered thought I did a certification. I must say that going through this process of learning oiled those jammed gears in action. It brought in new ideas and zeal to pursue something new. That feeling my friends is unmatched! This year I was hospitalized for the first time in my life! The experience was dreadful. It really doesn’t matter who you are or how much money you have. You suffer nonetheless. It’s how many people you have hold on to that counts in times like these. Family & Friends are the ones who lift your spirits and make the pain bearable. I established my blog in the year 2013. Back then it was known as CONVICTION VERSE. I started with rhymes and with every passing year I added a new section to it like canvas: my drawings, scrolls: my articles/short stories, fooyage: my food adventures. 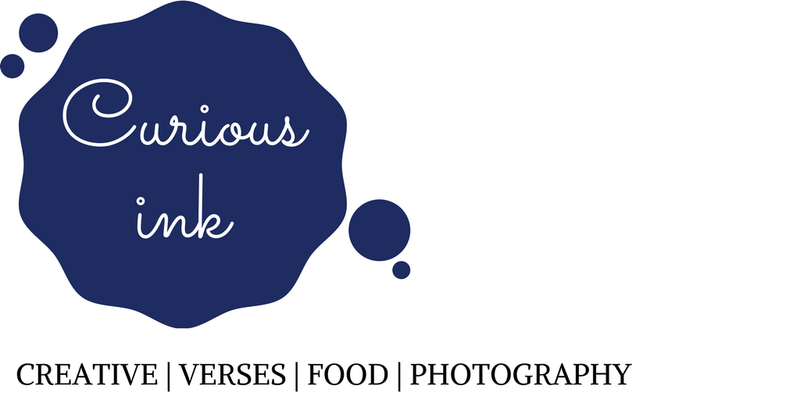 This year I re-branded my blog to CURIOUS-INK. Not for the sake of it but because blogging has become such an integral part of my life that I’ve stared exploring it in a much broader scale and it is refining the person I’m. Thus, re-branding is a way of me saying to my blog that I’m serious about you. Someone really said it right! It’s the cheapest way to travel. Reading takes you around the globe and also deep within yourselves. This book takes you on a journey in the past when there were many human species, how religion came into being, how agricultural & industrial revolutions shaped the world and numerous different aspects of being Homo sapiens. This books inspires me with its simplicity. It contains a collection of inspirational thoughts, stories, conferences, visions and wisdom from one of the finest minds of India. What I love about this book is the way it has brought out emotions through the medium of words. The story is about coming of age, its difficulties, friendship, emotions and all the secrets you discover in that stage of life. We come to know the background and much in detail about the characters like Prof. McGonagall, Remus Lupin, Sybill Trelawney and Silvanus Kettleburn. She also tells us more about her thought process of naming the characters. This book gives you more knowledge on Dolores Umbridge and many other Ministers of Magic. How Azkaban was turned into a prison. YES! It wasn’t a prison in the first place. More details about Peeves the Poltergeists and other significant characters. Get ready to know more secrets about the castle, its grounds and permanent residents. It’s always a delight to read about Hogwarts. I’ve been on quite a few treks. I love to be close to nature. Every trip rejuvenates me and I always had this thought, what I can give back to Mother Nature? She helped me get to the answer herself. There’s an Almond Tree in my building compound. One fine day the fruit from the tree fell in one of the pot of plants I have in my gallery. Within few days it grew big enough to not fit in the small pot. So I took it to my office where there are various tree plantations and have it planted over there. With that I decided to plant at least one tree a year! Trust me the happiness you get to see your sapling grow is heartfelt. These are few of my takeaways from the year 2017. Do tell me yours in the comment section below. Who knows they might inspire me and others who read this article to make it their takeaways in the year 2018! I wish you and your family on behalf of my family and curious-ink a happy & thriving new year 2018. This post is a part of Write Over the Weekend, an initiative for IndianBloggers by BlogAdda.